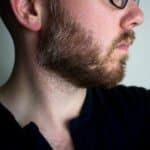 Mineral Oil As A Beard Oil Substitute? Any Other Beard Oil Substitutes? Ok, ok, I know the headline is a bit sensationalist. Some beard oil can be quite pricey. Averaging about $20/oz, beard oil is one of the priciest grooming products you can own. 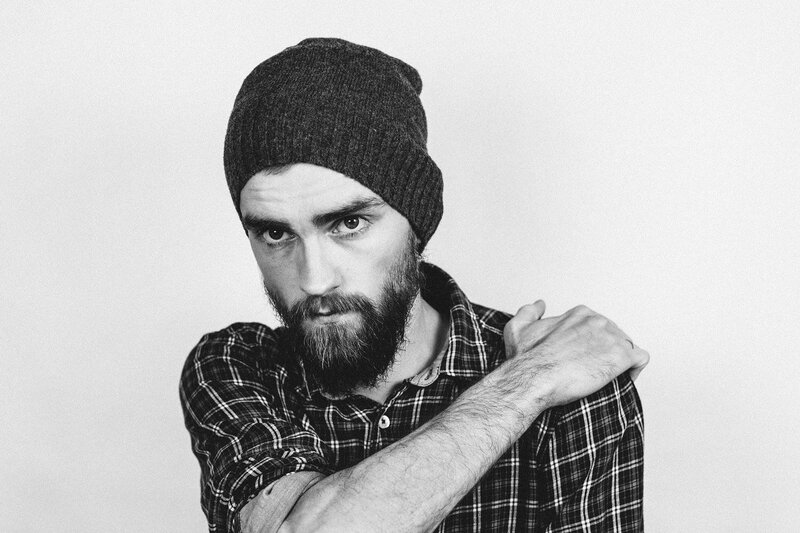 Therefore, we wanted to take a moment to REALLY talk about some viable beard oil substitutes. Not every man is rolling in cash, and growing an epic beard shouldn’t require a large bankroll. But to really make sense of some GOOD beard oil substitutes, I just want to take a minute to cover the basic ingredients. While I understand that talking about ingredients can get a bit boring for some, I will try my best to make it short, concise, and perhaps even a little bit entertaining! Carrier oils are found in a TON of men’s grooming products these days. From natural deodorants to body washes, more and more companies are including carrier oils as one of the primary ingredients. Well, in short, it works pretty well. Carrier oil, typically derived from either a nut or seed, does a terrific job caring for your beard and skin while being a non-comedogenic (doesn’t clog pores), making it great for men with any skin type. Secondly, it does a really good job of complimenting your sebum oil (the little bit of oil that is excreted by the sebaceous glands at the base of your hair follicle). First, it will make sure that your beard and skin is well hydrated, as this completely removes any occurrence of pesky beard itch. So, if your mane is feeling a bit crunchy or off-putting, application of carrier oil on your beard will ensure that your beard feels much softer without feeling greasy. A softer beard is also less susceptible to split ends, which can only be cured by getting them trimmed off. They basically provide the scent of the beard oil. No, before you think it, you can’t just apply essential oils directly to your face. They are extremely potent and will severely irritate your skin. The carrier oil helps ‘carry’ or dilute the essential oils in any beard oil. Beyond evoking some manly scents, essential oils also help to give you secondary topical skin benefits as well as some therapeutic benefits. Lastly, the vitamin E oil is sometimes included in beard oils. This oil helps to strengthen the hair, making your beard less susceptible to unwanted breakage. Vitamin E also has some anti-aging benefits, but those go well beyond the scope of this article. So in essence, with beard oil, carrier oils are what you should really care about, as they deliver 99% of the benefits. Containing all the same conditioning agents as a beard oil plus butters and beeswax make this grooming product the best beard oil substitute you can buy. Not only does beard balm do a better job at conditioning your beard than a bottle of beard oil, but it normally costs substantially lower than beard oil as well. Seriously, if you haven’t tried applying a beard balm, its definitely worth a look at. Beyond just conditioning your beard really well, the beeswax in beard balm is a welcome addition for many beardsmen as it will provide a light to medium hold for your wispy follicles. This little bit of control will help to give your beard some shape throughout the day so you don’t have to worry about a midday comb or brushing – perfect for men who grow a beard in a formal office (or even startup) setting. The additional butters, which are usually derived from either shea or cocoa varieties, will help to support a well moisturized skin – after all these butters are always found in many of the high end lotions on the market. Lastly, if you live in a dry climate such as the northeast during winter months or the south/southwest at any time of the year, balm will penetrate your beard and skin much deeper than a beard oil can ever hope to. 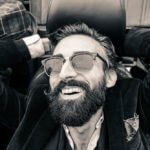 Should you be looking for a quality beard balm, most beardsmen find themselves reaching for this beard balm, as it has all the key ingredients found in beard oil as well. If you are a man with sensitive skin or one that just simply doesn’t like scented grooming products, then either jojoba or argan oils will be your go to beard oil substitute. Both of these oils are carrier oils and are the base ingredients in many of the most popular beard oils on the market. 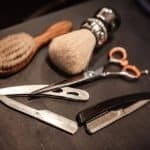 Therefore, if you are looking to cut out the middle man and save a few bucks, then you can just get a bottle of jojoba oil and achieve all the great conditioning benefits as if you paid for a bottle of beard oil yourself. If you plan on going with this route, then you will want to get a carrier oil that is in a dark amber glass bottle. This helps to protect the structural integrity of the oil itself from harmful UV rays when it sits in a warehouse or on store shelves for an extended period of time. Personally, we would recommend this jojoba oil as it’s not only in a dark bottle, but also organic. 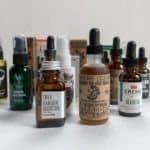 Like anything in life, DIY is always going to be cheaper than if you were to buy a product online or from your local corner store, and beard oil is no exception to this rule. With its two primary ingredients, men who like to get their hands dirty often will just make their own private batch of beard oil. Not only can this be a pretty rewarding experience, but you also save a truckload of cash too! Now, if you NEVER used beard oil, then we would strongly suggest picking up one just so you have an idea of what the finished product should look, feel, and smell like. This will help to give you an example to work with. But once you pick up a carrier oil, the only thing left is essential oils (go with the variety pack if you are looking to get creative), amber bottles, and a bag of pipettes. 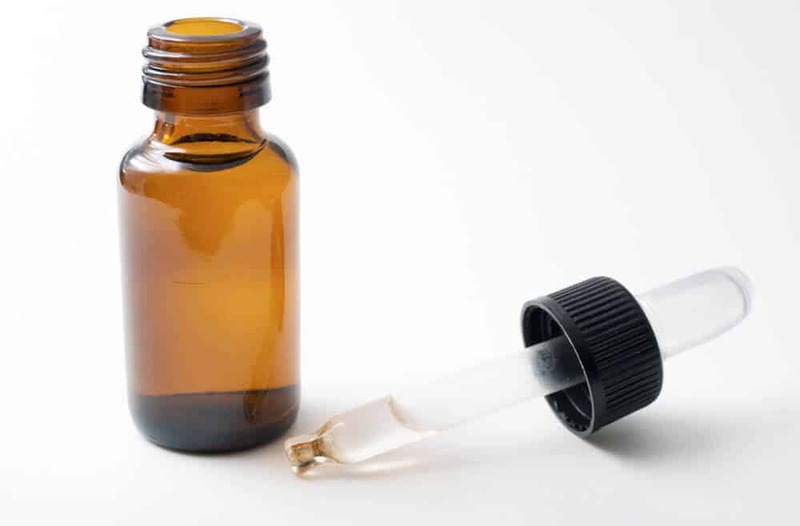 But before you just go and buy anything, we would strongly recommend that you check out our in-depth guide on how to make beard oil. 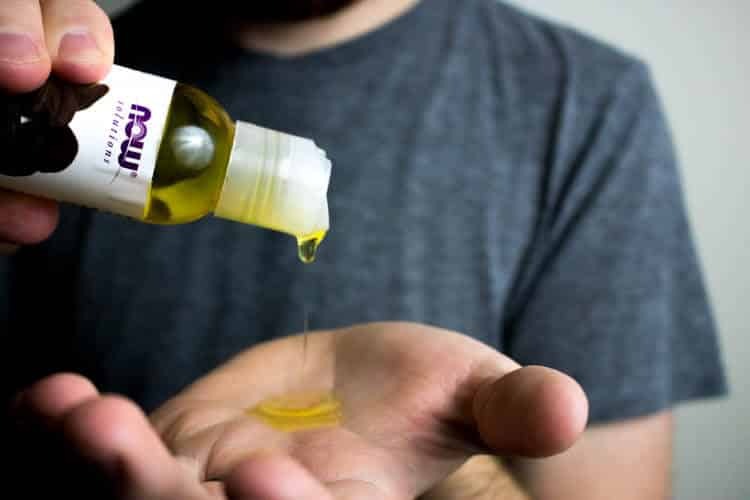 Over there we talk about all the different essential oils, carrier oils, and steps to make your very first bottle of beard oil. Plus, we have over 50 different beard oil recipes to get you started! Plenty of men use mineral oil (baby oil) to condition their beard. This popular ingredient is found in a plethora of grooming products for both men and women (and even toddlers). One of the key properties that mineral oils has, and why it’s so attractive for beardsmen, is that it helps your skin to retain water. This is great for beardsmen because as your beard grows, the follicles will pull the moisture and sebum oil from the surface of your skin, ultimately causing an itchy beard. Mineral oil counteracts this by keep the water locked into the surface. Now, of all the beard oil substitutes on this list, this is one that we would advise against the most. The reason being is that mineral oil isn’t all natural (its derived from petroleum), and lesser grades of mineral oils are known carcinogens (source). Now refined mineral oil that’s found in many grooming products don’t share the same concerns. While mineral oil will be the cheapest substitute on this list, you are still better off going with just a bottle of organic (and natural) jojoba oil instead, especially if you like going with all natural options. Packed full of emollients, face creams do more than just add a splash of moisture to your face. Face creams can also help to reduce the appearance of fine lines and wrinkles near your eyes and around your mouth. This will not only make you look a few years younger, but will also give your skin a much more vibrant look. Secondly, many face creams also include SPF protection. This will help to not only keep your skin complexion on point, but also will help ward off pre-mature wrinkles from forming in the first place. Instead of just applying a face cream to your T-zone, you can also take the application down to your beard and mustache as well. 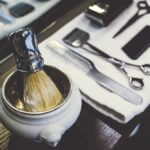 This will help to make your beard (even if its short) look much better and healthier as opposed to being dull. For a face moisturizer that you could also use as a beard oil substitute, we would highly recommend the Double-Duty Face Moisturizer by Jack Black. Not only will it work wonders on your face, but it also carries an SPF 20 rating, while using plenty of all natural ingredients that will work wonders on men of any skin type (oily, dry, normal, or combination), and yes, even men with sensitive skin too! 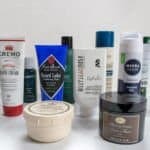 While there are differences in consistency and ingredient ratios between a face cream and your standard hand or body lotion, if you are looking for something around the house that can act as a beard oil substitute, then a body lotion may suffice. If you have a month or two worth of beard growth – don’t apply lotion to your beard, it will look messy, and likely need a shower immediately to be removed. …but not just any type of lotion. We would strongly recommend that you use a thin lotion (i.e. Lubriderm, Kiehls, etc.) rather than a thicker one like Palmers (or any cocoa butter based ones). 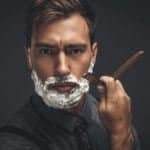 Well, thicker lotions may get trapped in your stubble causing white areas that may be tough to rub fully into your skin and stubble, ultimately creating white streaks in your beard. 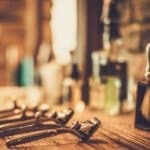 While there may be other mentions of beard oil substitutes on grooming blogs that include peanut butter, olive oil, and other kitchen items, we want to steer clear of those. 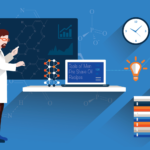 Not only will they perform poorly, but they also aren’t really that practical either (unless you want to smell like a Reese’s Peanut Butter cup for the rest of the day…well maybe that wouldn’t be too bad). So if you are looking for something that performs as well as beard oil but can have other uses or just is simply cheaper, then you will want to go with either a beard balm, carrier oil, or face cream for a great looking beard!